When I first noticed the Micro Chargers from Moose Toys booth at Sweet Suite (an event at BlogHer in NYC this summer), I knew my boys would be all over it. The gist of this toy is that you have small cars that “charge up” and then you release them onto a track as they zoom around. It’s fast and fun and right up any boy’s alley! 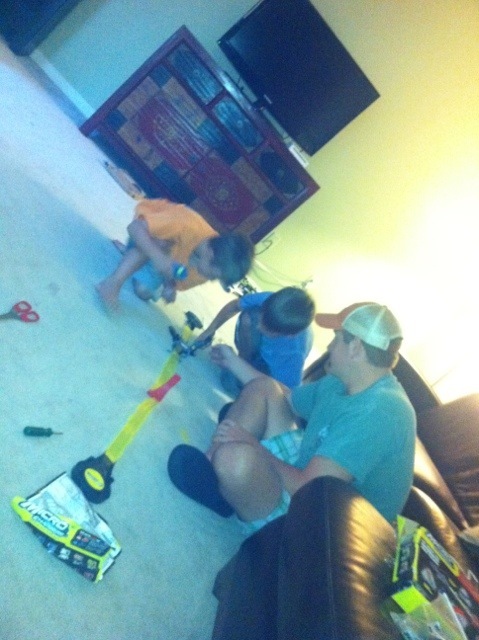 You can buy extra tracks to go with them including a loop so they can watch their car go upside down. 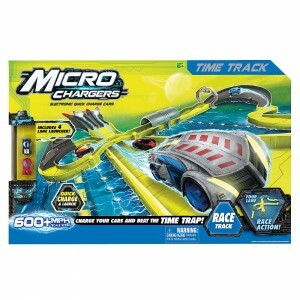 Get Micro Chargers on Toys R Us while they last! I’m guessing this will be a hot pick for the holiday season so stock up now! Disclaimer: I received a box of sample Micro Chargers to facilitate this review but as always, all thoughts and opinions are my own. Oh joy, I know my boys are going to want this. They’ve loved cars since they were in a bassinet! Thank you for the review / suggestion. Best wishes.